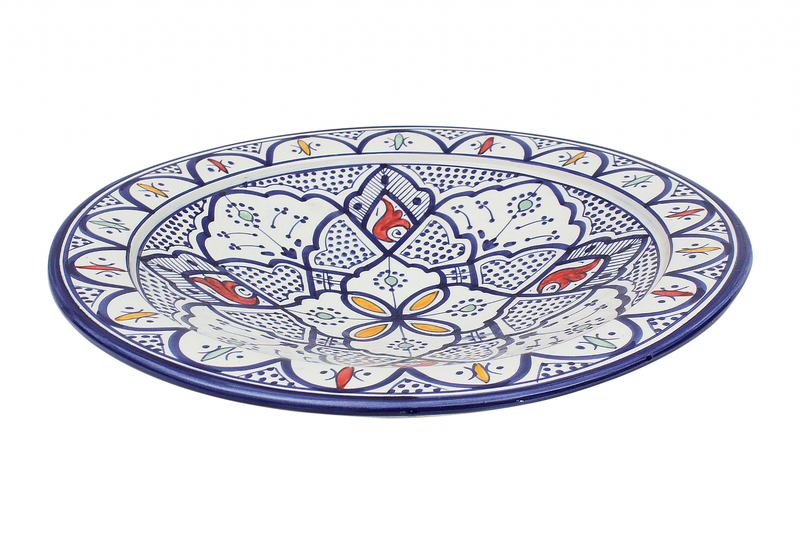 Moroccan Ceramic Plate Platter Multicoloured from Safi. 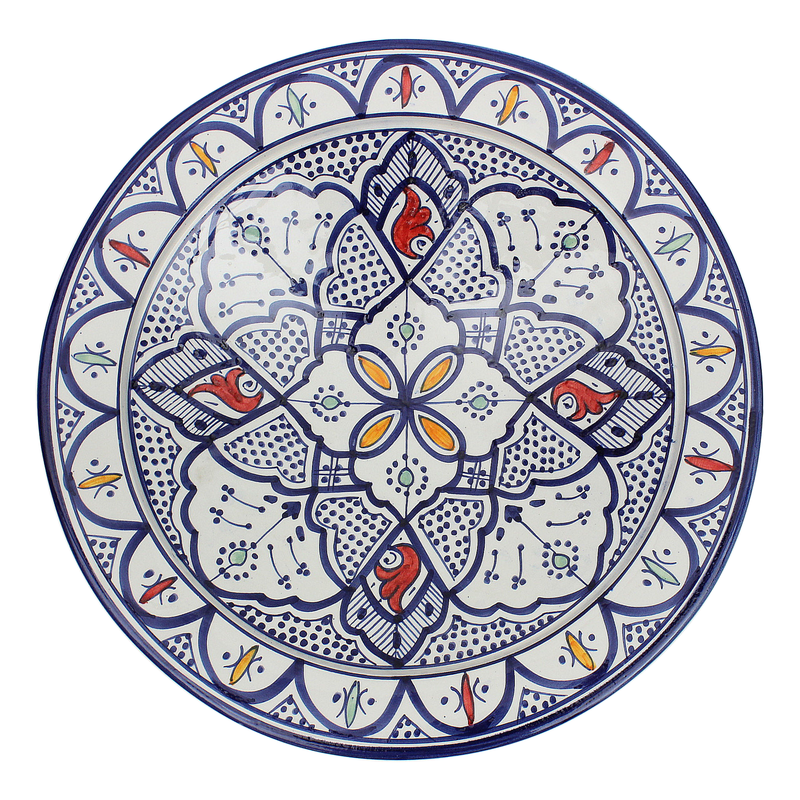 Handmade, hand-painted in Safi by skilled artisans. 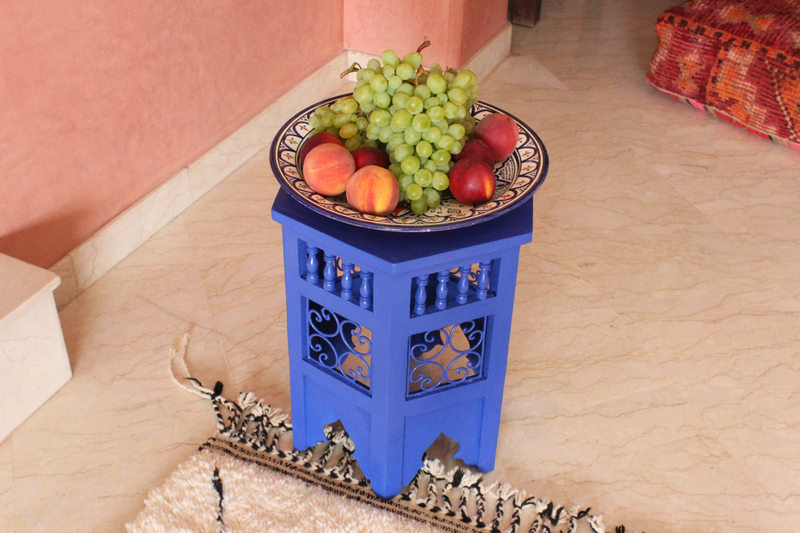 A unique piece of Moroccan interior design, a wonderful centre piece for your table. 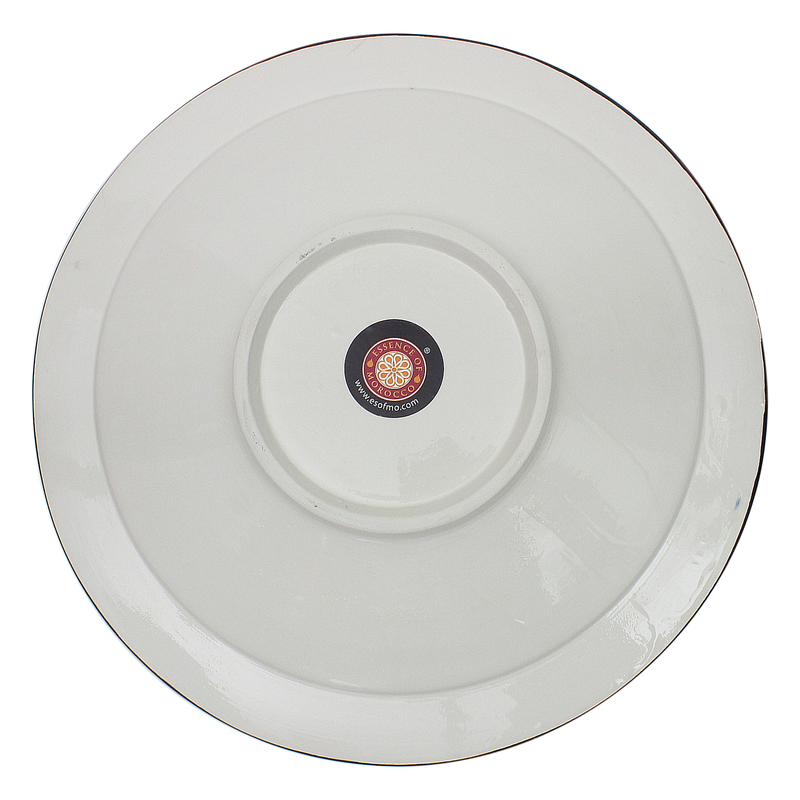 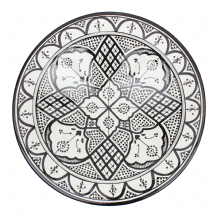 In Morocco and other Mediterranean countries, this plate would traditionally be used as wall decoration (using the holes at the bottom of the plate and some string). 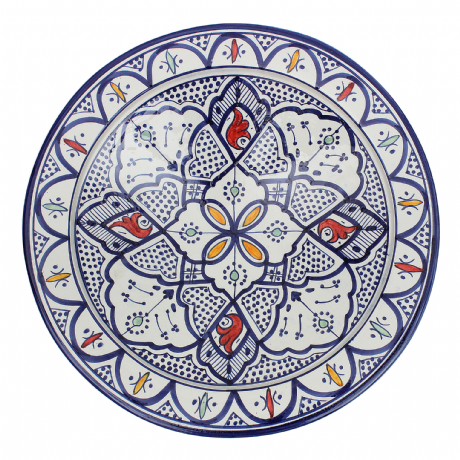 Moroccan Ceramic Plate Platter Handmade Hand Painted Safi Blue 40 cm / 15.7"